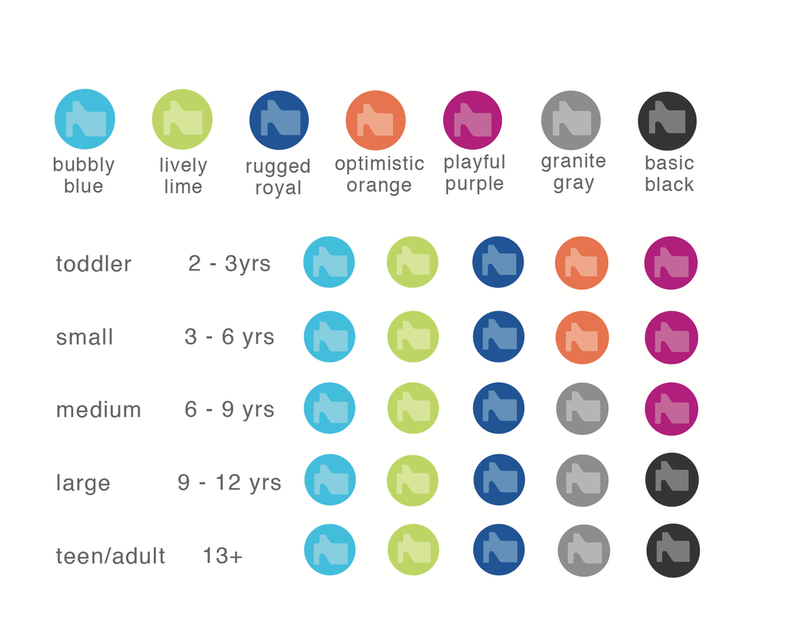 *Don't see a color/size combo that works for your environment? Custom colors available on orders of 25 or more Vidgets. Contact us to learn more. The Vidget 3-in-1 Flexible Seating System™ works for all sizes. 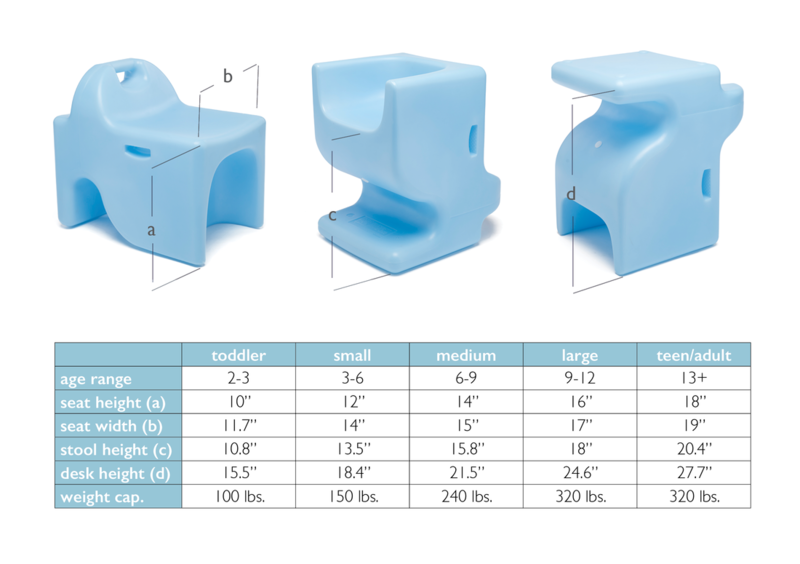 To determine the Vidget size to purchase: with the child's feet flat on the floor and knees bent at a 90º angle, measure the distance from the floor to the back of knees. This is the child's appropriate chair size. We have many adults that are thrilled to be using a Vidget® in their home or office. College students will love the modular benefit in their dorm rooms and can't wait to start fidgeting!